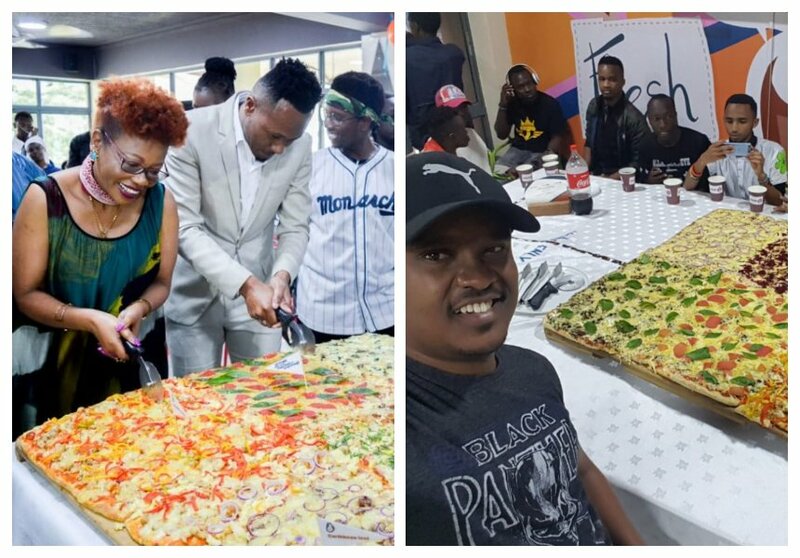 About three weeks ago, DJ Mo and Samchi Group of Companies CEO Esther Muchemi took part in a challenge to eat the largest pizza ever prepared in East Africa. 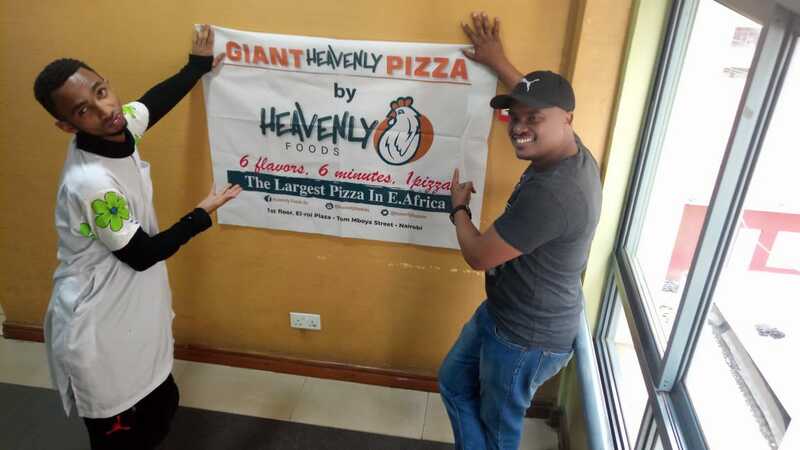 The pizza, which was prepared at Heavenly foods Restaurant at El Roi Plaza, Tom Mboya street, measured 43 inches by 43 inches and had 6 flavors. 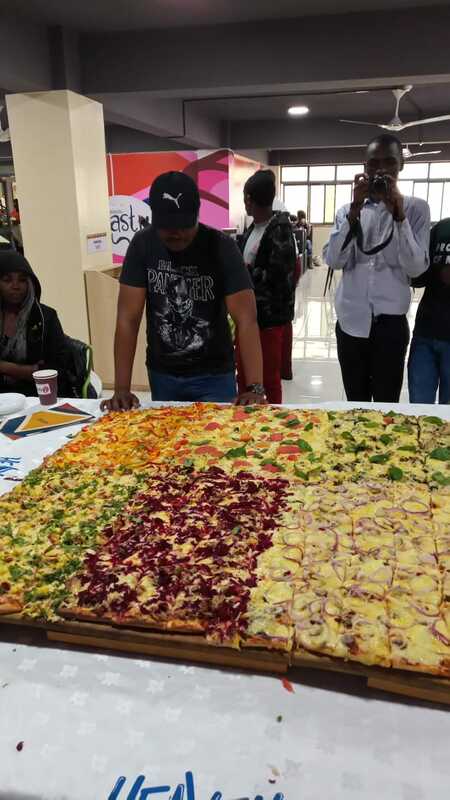 DJ Mo and Esther Muchemi only managed to eat 15 pieces out of the 436 pieces. 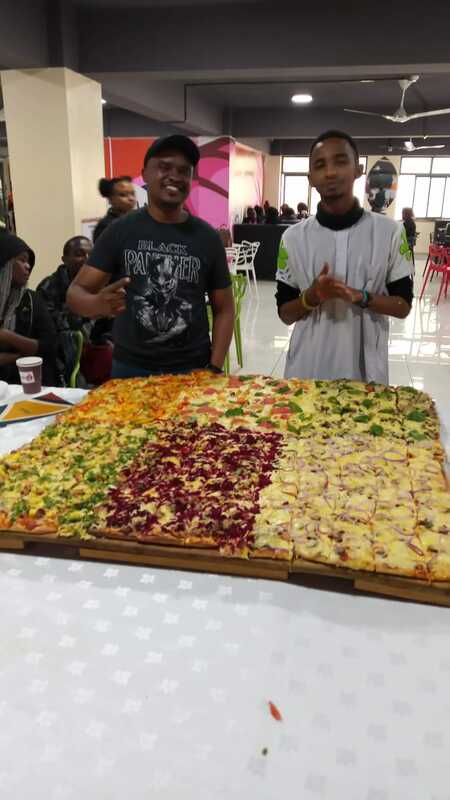 They were supposed to eat as many pieces as possible within 6 minutes. 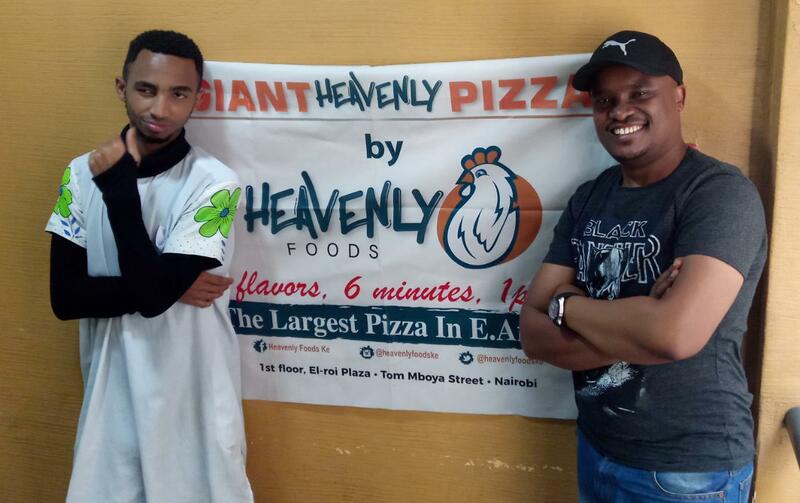 Musician Murua Mziki and his friend Brown went to Heavenly foods Restaurant on a mission to break DJ Mo’s pizza eating record. Yes, the two broke the record but at a cost. 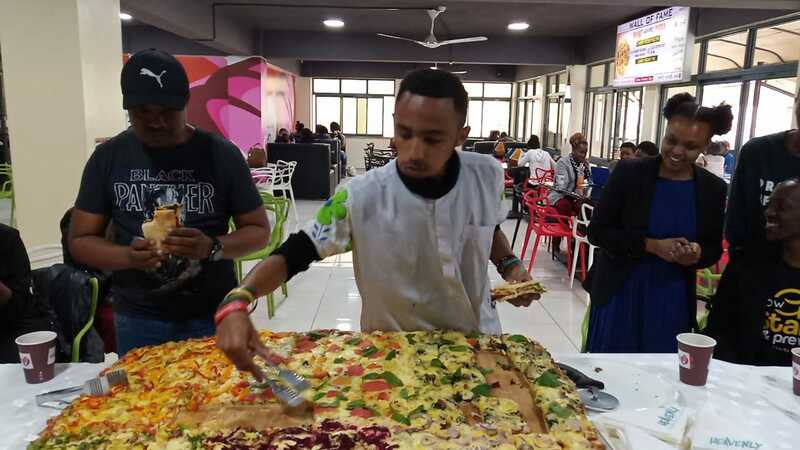 They ate 17 pieces out of 436 pieces, but Murua Mziki was almost carried to the hospital in an ambulance as he nearly fainted while trying to beat Mo’s record. 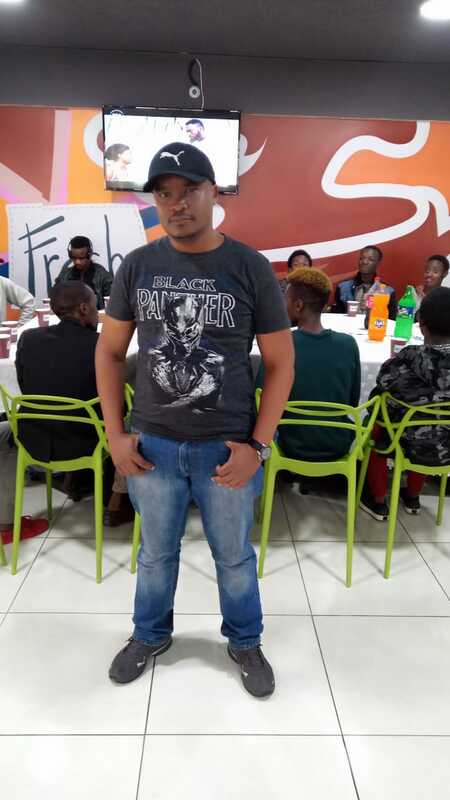 Murua Mziki was gasping for breath by the time the 6 minutes elapsed. 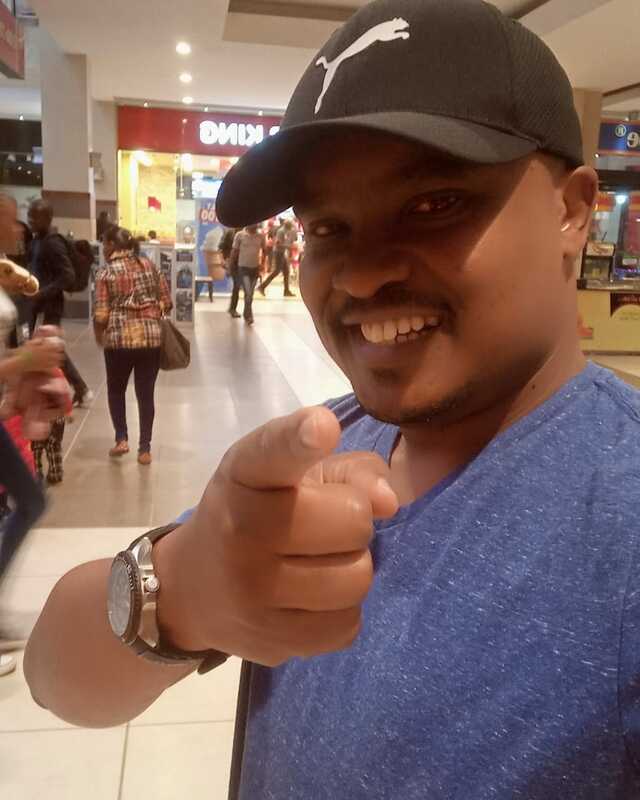 He however took pride in knowing that he had broken DJ Mo’s record.